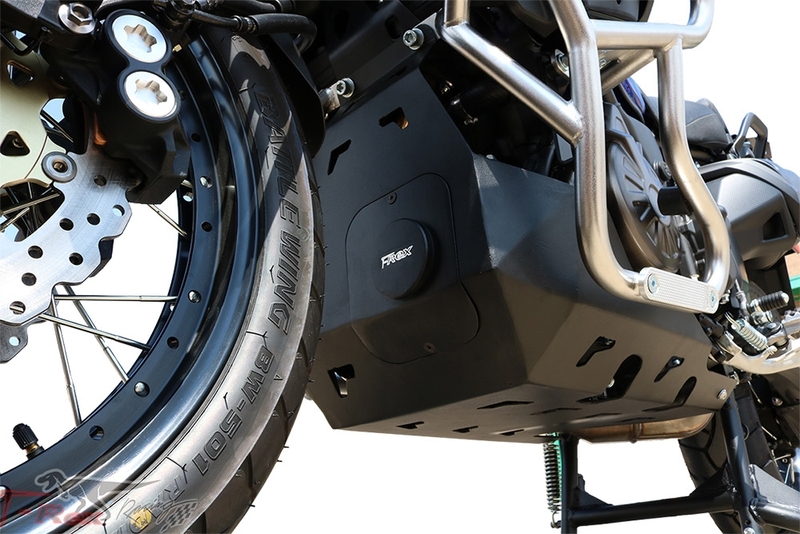 This purchase is for one skid plate for the Yamaha Super Tenere, designed to minimize damage and protect your bike from dirt, mud, and other debris. 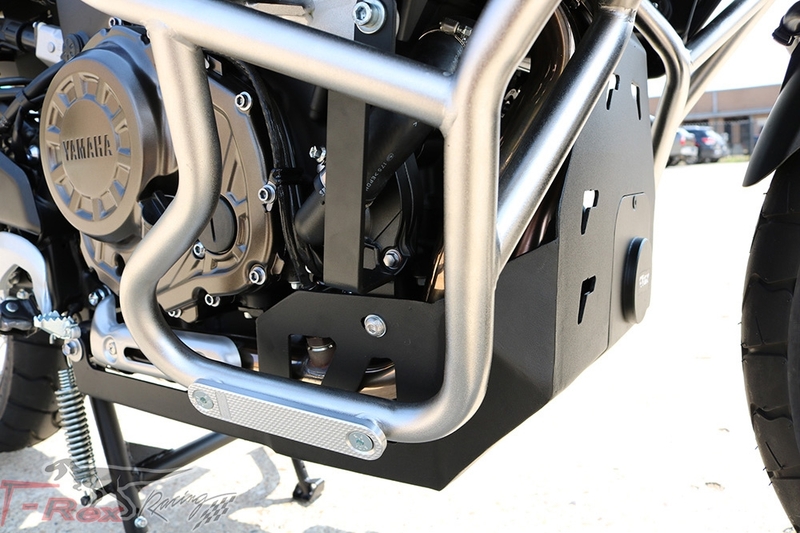 The skid plate is CNC cut from a solid 4mm sheet of aircraft grade aluminum. The plate is then tig welded and finished with black powder coating to increase durability. Rest assured that you are getting the best material commercially available. We understand that riders want protection for both on/off the road. 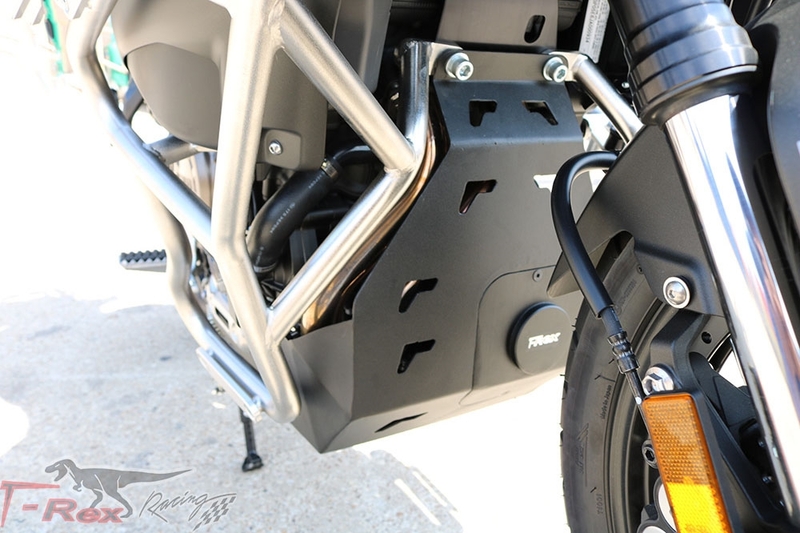 Our skid plates were designed to take the beatings of your everyday riding. Our skid plates are mounted at two locations (front, back). 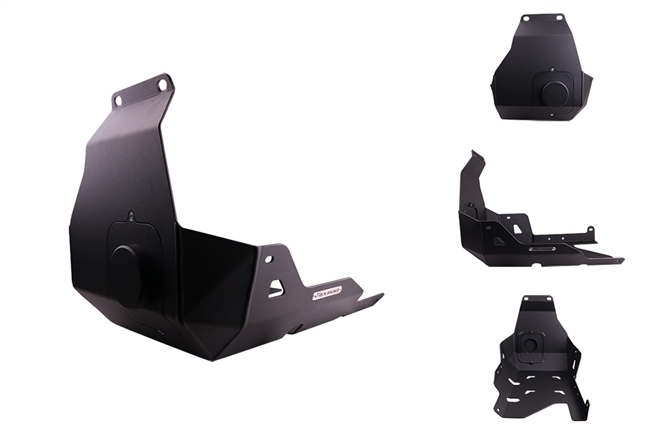 The mounting locations of a skid plate play a critical role in how much it can minimize damage and protect. We did not want to mount anything on the engine cover or stator as that would more likely cause more problems than prevent. 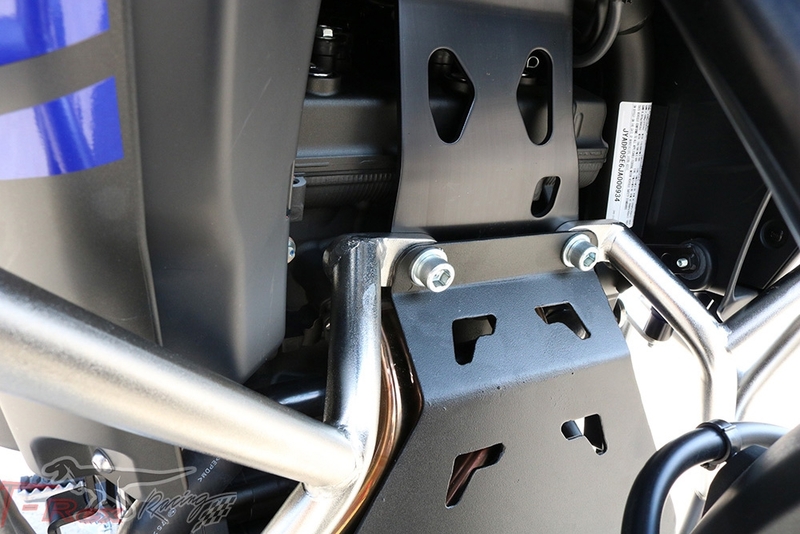 Other skid plates that mount on the covers is trusting the integrity of the plate on 6mm bolts that are connected directly to the engine covers. Major impacts or accident will rip and crack that cover or bolt. Easy Access to the oil filter with our removable cap! No need to remove the whole skid plate! 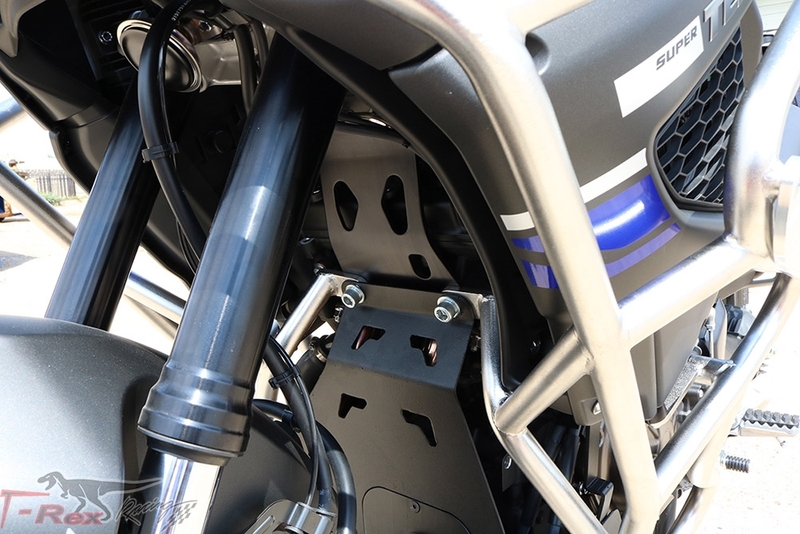 Compatible with our center stand (in production) and engine guards (N77-12EG). I don't understand why you would purchase any other skid plate but this one. Most of the rest of the competitions plates attached to the engine not the frame. In my opinion that is not a good idea. This plate provides incredible coverage but does not sacrifice ground clearance when cornering. It's tucked up very close to the engine but provides room to wash mud out easily. Being able to change the oil and filter without removing the plate is a major bonus. 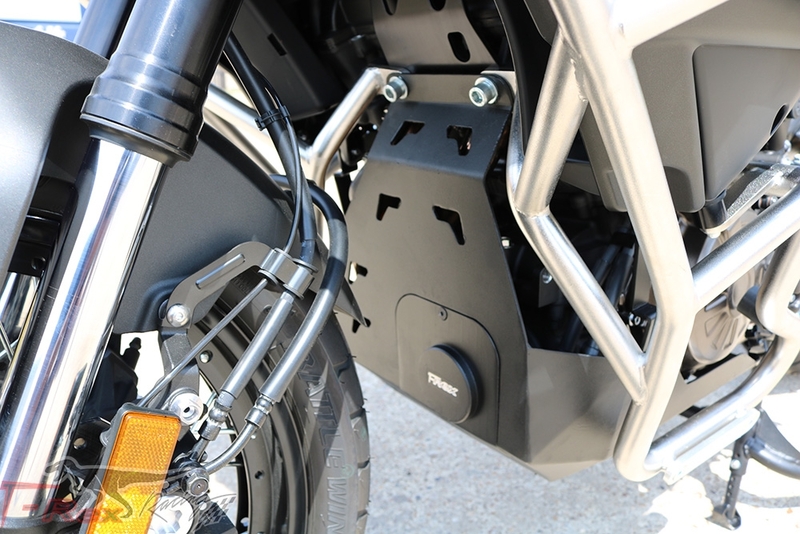 Heavy duty skid plate let's you ride without hesitation. This is the best skid plate I have found. Excellent design and craftsmanship. It covers more than expected. I would buy again. Great customer service and fast shipping.